Growing a vegetable garden is a fun way to provide fresh produce for you and your family. Vegetables produced in your garden are rich in nutrients and a great option if you are on a tight budget. The steps involved in growing a vegetable garden are not difficult. You can have an abundant harvest, even if you don't have a lot of room or planting experience. Select the best spot in your landscape for your vegetable garden. Light is one of the most important elements to growing a robust garden. Most vegetables require at least six hours of sunlight to perform their best. Fruit producing vegetables, including tomatoes, eggplant, squash and peppers, need more sun than leaf and root vegetables such as lettuce, kale, squash and peas. One of the best ways to grow vegetables is in a raised bed. Raised vegetable beds allow you to control the soil quality, require less water and substaintailly less maintenance than tilled garden spots. Raised beds can be constructed from lumber purchased at your local hardware store. Raised bed construction plans are easy to find, and you do not have to be a carpenter to build them. Fill your raised beds with high-quality organic material. Fill your raised beds with high-quality organic soil. Equal parts of compost, sphagnum, and perlite make a light soil that is perfect for raised beds. If you prefer, most garden centers sell soil mixtures that have all of the ingredients already included. Choose vegetables that you will enjoy and that best suit your growing climate. If you are unsure about what to plant, check with you local Cooperative Extension Office for a list which plants will do best. 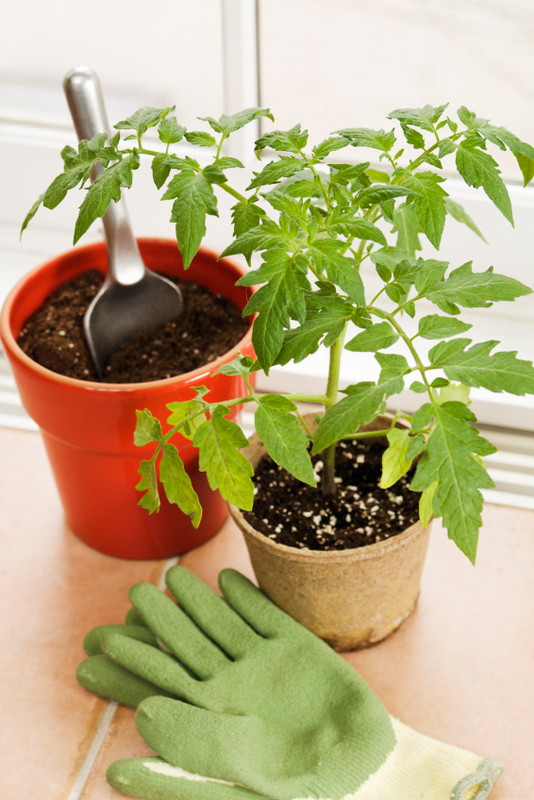 If you have enough time, you can start seeds indoors or in a greenhouse before transplanting into your garden. When planting in a raised bed it is okay to place the plants close together. You will need to use a layout map as a guide when planting to keep everything organized. Add a top dressing of mulch, dry leaves or wood chips to keep weeds down and to retain moisture. Water plants regularly. The best method of watering a vegetable garden is with a drip irrigation hose. Besides being extremely economical, drip irrigation helps control the humidity level in your garden and ensures that plants receive the moisture they need. Lay a drip irrigation hose down before your plants get too large. To save even more water, collect rain in barrels from you roof and connect your drip hose to the barrel. If you have a garden, it is unevitable that you will have weeds. Weeds are unsightly and also steal vital nutrients that your vegetables need to grow. Check for weeds daily, if you can, to keep them under control. Weeds are easier to pull in a raised bed than in a tiled garden and can usually be pulled out with your hands. Be sure to get the entire weed, including the root, so that it does not grow back. Keep a light covering of mulch around your plants to further ward off weeds. It does not take long for snails, slugs, or other garden pests to destroy your garden, especially if the weather is humid and damp. For a safe, natural deterrent, plant some aromatic flowers in between your veggies. Snails and slugs will stay clear of geraniums, poppies and nasturtiums. You can also physically remove these veggie eaters if you catch them at night. Don't forget your flashlight and some gloves. Harvesting is the really fun part of growing a garden. This is the time that you can congratulate yourself for a job well done. Obviously some vegetables will be ready for harvest before others, so timing is important. The longer a ripe veggie sits in the garden, the less fresh it is, and the more nutrients it loses. Once your garden comes into season, it critical to check it daily. If you pick your vegetables at the peak of their maturity, chilling them will prolong their freshness. Carefully pick the vegetables and place them gently in a bowl or a basket so not to bruise. Once you begin harvesting, you will enjoy all of the health benefits associated with your vegetable garden for many months to come.